Valerian (Valeriana officinalis) is a perennial plant native to Europe and Asia; and present in North America as well. The plant grows to a height of 3-4 feet. Valerian blooms from June to September. The flowers are pink or white, with a generally pleasant smell. However, other parts of the plant have a musky smell, reportedly not unlike unwashed feet. Valerian has been used in medicine for over a thousand years, with Hippocrates being the first to describe its properties. The name of the plant stems from the Latin word valere, meaning healthy, strong. 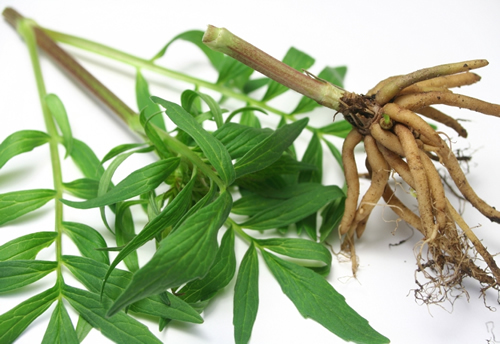 The part of valerian that is considered to be the most effective is the oil that can be found in the plant’s root. It is this part that is used in medicines and by those who wish to experience its effects. The most common use of valerian is as a cure for insomnia and other sleep disorders. This is due to the sedative effects of Valeriana officinalis. Other uses include treating anxiety, depression and pain, though the effectiveness of valerian treating these symptoms is disputed. Several studies have confirmed the effects of valerian on sleep, however, the exact mechanism of its effects have yet to be fully understood. Valerian also attracts cats, similarly to catnip (Nepeta cataria). The plant’s smell also attracts rats, which means it may be (and has been) used in traps. Valerian is not a controlled plant in most countries, which means it is legal to buy, possess, grow or trade the plant or parts of it. 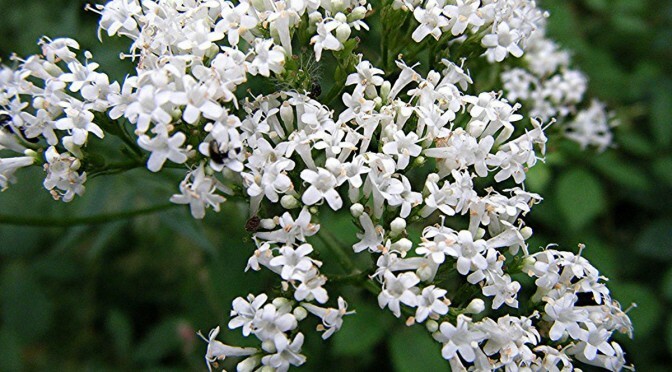 Extracts of Valeriana officinalis are commonly sold as an over the counter supplement. In the US, valerian is on the FDA’s list of substances that are generally recognised to be safe (GRAS). The root oil and extracts may be used as spice or seasoning. While valerian does not seem to be specifically controlled or illegal in any countries, it may still be banned categorically. Islamic countries, to be specific, may adopt Sharia law into their legal system. This law prohibits the use of all intoxicants and considers them an abomination. Please note that while currently there seem to be no laws banning the use of valerian in any country, laws are subject to change. Make sure to check with the appropriate laws in your country or region before deciding to buy or try Valeriana officinalis. Valerian root and valerian extract are available as over the counter substances in several countries. I can personally recommend two online shops that ship quality valerian root extract globally. Valerian is often called nature’s Valium, though Valium is synthetic while valerian is a herb. Still, the two have rather similar sedative effects. The part of Valeriana officinalis most often used in medicine is its root – the root oil it contains, to be precise. It is this part that contains the largest concentration of active compounds. At least, that is the theory: it is still unclear exactly how valerian exerts its effects. The root contains several alkaloids, gamma-aminobutryc acid (GABA) and isovaleric acid, among other compounds. Currently most research suggests that the effects are achieved through a synergy of the active compounds. Another theory is that valerian inhibits an enzyme that destroys GABA as well as causing it to be released from brain nerve endings, which may cause the sedative effects. The main cognitive effect caused by valerian is sedation. Most users report sleepiness after consuming the substance. This is accompanied by a calm, relaxed state. The effects of valerian are generally considered pleasant. Use of the plant reduces anxiety and can result in mild euphoria and slight feelings of intoxication. The effects are comparable to a small dose of MDMA, but without any mental clouding. Valeriana officinalis has rather few physical effects. Some users have reported tingling sensations after consumption. Due to valerian’s sedative effects, it may be more trying to accomplish physical tasks. 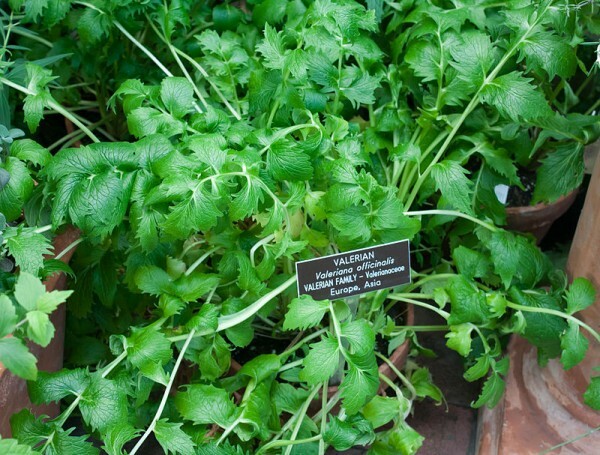 The root oil of Valeriana officinalis affects circulation the same as other sedatives. Heart rate and breathing slows down, and users may feel sluggish. Valerian is mostly considered a safe substance, as evidenced by being included on the FDA’s list of substances generally recognised to be safe. However, as with practically all substances, there are some dangers to the use of valerian. For one, Valeriana officinalis is a little-researched plant, which means there are no definitive studies detailing the effects of long-term use. Clinical study participants have reported headaches, dizziness and gastrointestinal problems; though it should be noted that some of these effects occurred with placebo as well. Valerian is a sedative and an anxiolytic, causing sleepiness and reduced anxiety. It is generally inadvisable to use it in combination with other substances with similar effects. This list includes other sedatives, Xanax and alcohol. Valerian also affects the liver’s ability to break down other substances and medications. Please consult your doctor before taking valerian if you are also using lovastatin (Mevacor), ketoconazole (Nizoral), itraconazole (Sporanox), fexofenadine (Allegra), triazolam (Halcion), or similar medications that are changed by the liver. Valerian has been used for several other medicinal purposes as well, though there is insufficient evidence for most of its supposed effects. Health benefits attributed to valerian include relieving pain, reducing stress and anxiety and treating epilepsy. The root of Valeriana officinalis contains about 0,8% root oil, though this can vary between 0,5-2,0% depending on the plant’s location and environment. Because of this variation, dosages given in grams of the root can only be considered guidelines. The amount of extract recommended for insomnia is about 300-900 mg before sleep, while anxiety can be treated with 120 mg of extract three times a day. In order to achieve stronger, possibly euphoric effects as experienced by some users, larger doses may be necessary. Users should always exercise caution when experimenting with higher doses. It is the root of Valeriana officinalis that is usually consumed to achieve the desired effects. There are several ways to prepare and consume valerian. The most common way to use the root is by making a valerian tea. 1-2 teaspoons of valerian root are steeped in boiling water for 5 to 10 minutes. Afterwards, the root is filtered out and the valerian tea may be drank. The tea is reported to taste and smell less than pleasant; honey and lemon may be added to ameliorate the experience. Valerian is also available as an over the counter drug, often mixed with hops or other botanicals. These pills may also be used to achieve the sedative, pleasant effects of valerian. Valerian root and valerian extract are available as over the counter substances in several countries. I can personally recommend two online shops that ship valerian globally. The following are reports of ordinary people who took valerian and wrote down their experiences. “I’ve found Valerian root to have noticeable but variable effects. It does not smell nice; very much like extremely sweaty underarms. It also does not taste very good by itself (bitter,) but honey can be added, which also helps digestion. It has irritated my stomach on occasion. I usually use about a teaspoon, steeped in hot water for 5-10 minutes. I find it very relaxing and often, though not always, sleep-inducing. “The first effects came after some 40 minutes. I noticed that my pupils dilated and since the mirror is situated just under the lamp in the bathroom, I could see that they were not normal since they changed size constantly but irregularily. Share your own trip report in the comment section below (to ensure anonymity don’t use your real name or real email address when submitting trip reports)! Some of the information presented here might be outdated or incorrect (check “last updated” below). If you are planning to try out any of the substances, make sure to to research them yourself as well. I’m 100% committed to safe and responsible legal high consumption. If you have a few minutes to spare please read my blog post about responsible and safe legal drugs use. Valerian is only one of the legal highs included in Simon’s legal high guide, check out the others as well. If you’re interested in more legal, natural sedatives, check out Simon’s Guide to Natural Sedatives! Last updated: 2015. 12. 07. A guide detailing the properties, effects and legal status of valerian, includes valerian trip reports as well.